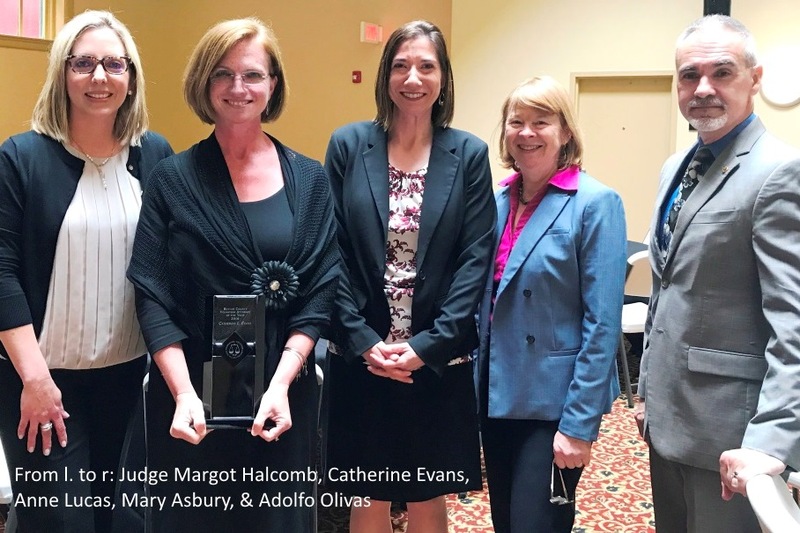 Catherine Evans honored as 2016 Butler County Volunteer Lawyer of the Year! Congratulations to Catherine Evans! She was honored by the Volunteer Lawyers for the Poor Foundation as the 2016 Butler County Volunteer Lawyer of the Year! 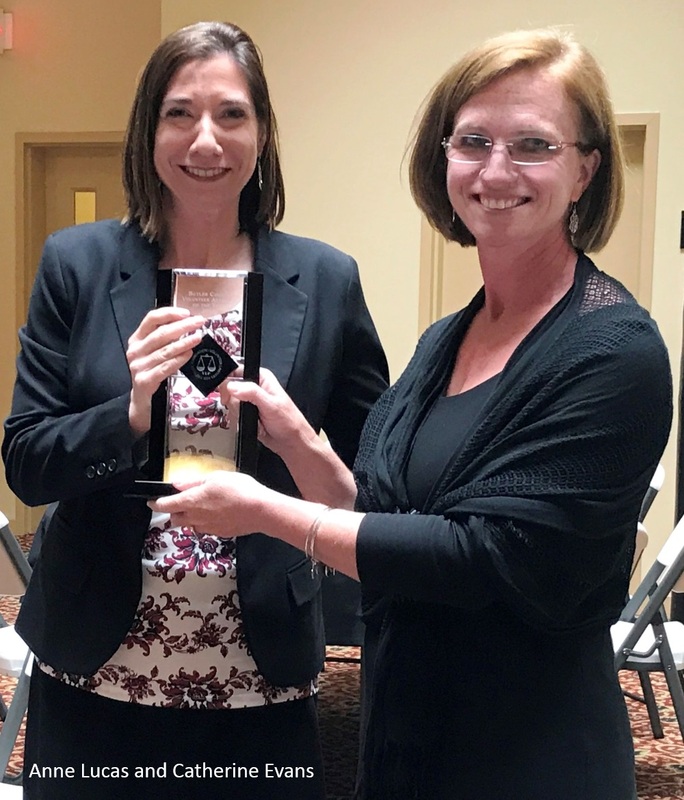 Anne Lucas, managing attorney of the VLP presented the award to Cathi at the Butler County Bar Association Law Day celebration on May 1. Cathi, a partner at Millikin & Fitton, has a strong history of participating as a VLP attorney. She’s taken three pro bono cases every year on average. In addition to helping VLP clients for nearly 20 years, Cathi‘s been a VLPF board member since 2003, serving as the President in 2014-2016.